Static electricity cannot be avoided. Hundreds of times each day, Electrostatic Discharge (ESD) events occur without notice. Unfortunately, an increasing number of electronic components are susceptible to damage from low voltage levels. ESD events affect the electronics industry at all levels of production. The further development in miniaturisation and complexity of electronic circuitry are setting the trend towards packaging of approved conductive material. 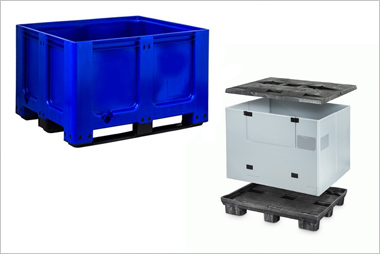 Our ESD-Pallets and ESD-Hybox provide effective protection for handling electronic components in assembly, storage and processing areas. Our basic grade, designed to avoid the accumulation of electric charge with a resistance in the range 1011 - 1014 Ohms. 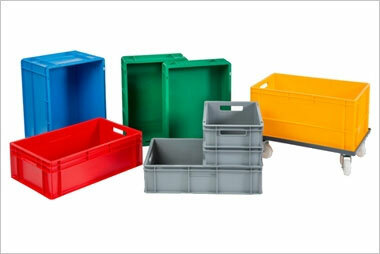 This range is available in a number of colour options, dependent on order quantity. Designed with dissipative properties to ensure controlled discharge, our ESD pallets have a resistance in the range 104 - 1011 Ohms, and are available in black or grey only. 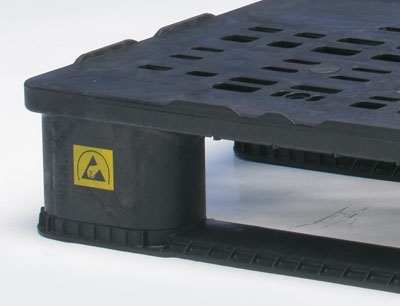 Designed to be fully conductive for immediate discharge, our conductive pallets have a resistance below 104 Ohms, and are only available in black. 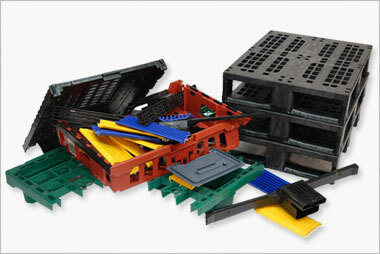 Plastic pallets are ideal for export consignments as they are completely exempt from ISPM15 regulations. 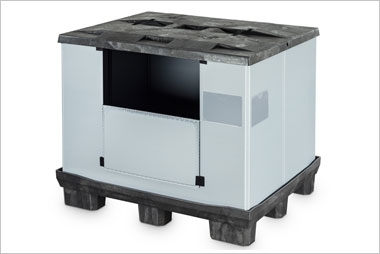 ISPM15 is the International Phytosanitary Standard for wood packaging. Developed by the International Protection Plant Convention (IPPC), it has gradually been adopted by countries throughout the world. Today over 85 countries have adopted these regulations, with the intention to stop the international spread of wood pests, after experiences with the Pine Wood Nematode, the long-horn beetle and other pests. ISPM15 states that all exporters must ensure that any wooden packaging used to export goods must be heat treated, stamped and certified before shipping. Failure to use correctly treated and certified wooden pallets will result in delays and extra costs at the port of entry. 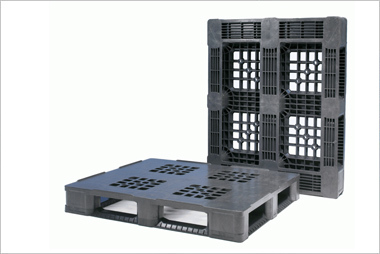 Designed for export and one-trip consignments, nestable plastic pallets are an ideal solution as the cost to purchase is comparable to wood. The chart below shows the import requirements for wooden pallets and highlights that plastic pallets are totally exempt from ISPM15 regulations.